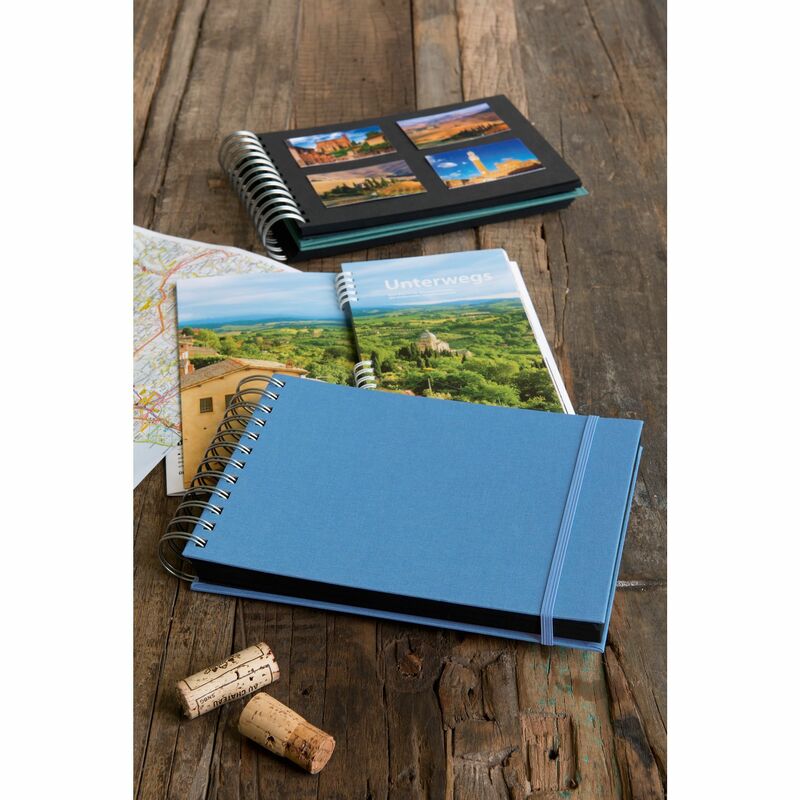 "The practical Maxi Mucho spiral bound photo album with sturdy linen cover and elastic band for closing. It contains 90 pages of black card stock with space for your favourite memories. The cover also has 2 pockets and a CD sleeve.